The HVAC (Heating, Ventilation and Air Conditioning) system in your home is responsible for providing your family with comfortable indoor air. The same system keeps you warm during the winter months and cool during summer. There have been continuous improvements in the last century to get us to where we are today. A modern HVAC system will ensure you have acceptable indoor air quality inside your home. It also gives you the unparalleled comfort you deserve. When it comes to the health of your loved ones, it is best to have a more hands-on approach to keeping your indoor air healthy. Opening windows and manually letting the fresh air into your home will help circulate the air better and save you some money on your electric bill. However, more often than not, we do depend on our HVAC system to keep our temperature at a comfortable level. That said, it is essential that we properly maintain our HVAC system and keep it running in optimum condition. It does not take that much legwork to verify that everything is in order and keep things running smoothly. For problems that we cannot fix ourselves, it is always an excellent idea to have a licensed, bonded, insured HVAC professional come out to your home to perform a service call. Don’t wait for a problem to show up before scheduling a service call with a certified HVAC professional. Setting up a service call for a tune-up of your HVAC system before the summer or winter months is always a fantastic idea. Your HVAC system works by gathering the air in all your rooms and venting clean, processed air back into each room. When gathering air, that air passes through the air filter which traps any dust or large particles in the filter mesh. Over time it does get clogged, and it is ideal to change the air filter once every three months. 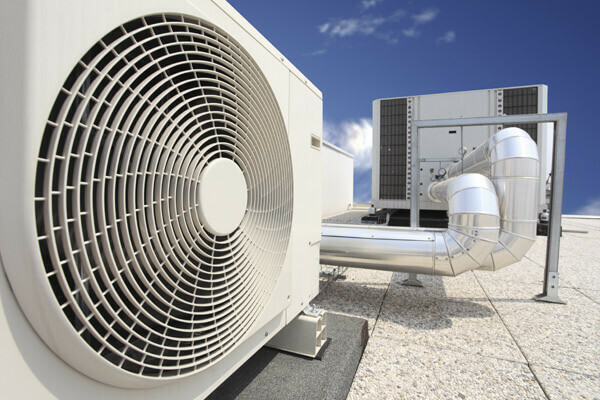 This is one of the simplest and most effective tasks in maintaining an efficient HVAC system. Forgetting this simple task can lead to your electric bill spiking up to 15% your regular bill. Ignoring Not only that but ignoring to change the filter will also lead to allergens and pollutants to be mixed in your breathing air which in turn can cause some health concerns for you and yours. Your HVAC system needs free-flowing air for it to work effectively. It is imperative you change the air filter once a month if your system is on all the time and once every three months at a minimum. For systems that do not have disposable filters a quick wipe on the filter is good enough to keep it clean and in optimal working condition. When buying air filters at the store, it is best to purchase several of these at a time to stock at home. So when the time comes to change a filter, you don’t have to run to the store. Mark the date on the upper part of the filter itself so you can easily see when the last change was. Since the compressor and condenser coils are located outside your home cleaning these is sometimes overlooked. Keeping the outdoor unit free of debris and away from any shrubs will help your system work more efficiently. For any trees or foliage located near your outdoor unit, make sure to keep a clearance of about eighteen inches from any foliage. Tree branches and shrubs sticking into the outdoor unit will affect the condenser coils and may cause it to rust. Open up the outdoor unit and use a wet-dry vacuum with a hose attachment to vacuum the inside of the outdoor unit as well as the outside. Clear any debris on the sides and the fins of the condenser. Use a brush to give the side a nice scrubbing this is all you need to dry clean. If you are not satisfied with dry cleaning the unit then take a garden hose to spray the condenser clean. Work from the inside of the unit going out. Too much debris in the condenser coils will cause your system to work harder than it needs to. About ninety percent of the time the primary culprit for HVAC system failures is something electrical. If you or someone in your home is at all familiar with a multimeter, then it would be a good idea to check some parts before being forced to buy a new system. The capacitor is responsible for jumpstarting your compressor motor and condenser fan motor. It functions properly at a specific range; it is usually indicated on the label. When you test it, and it shows a result of being below the acceptable range then you would need to replace it. A faulty capacitor is often the reason your HVAC system is not able to supply cold air to your home. If your only feeling warm air from your ducts then check the capacitor, a good capacitor usually lasts about three to four years. The contactor works as the conduit to complete an open circuit; it is responsible for directing the power to the compressor motor and condenser fan. The capacitor stores electrical energy to jumpstart the needed systems in the outdoor unit while the contactor directs that energy. Sometimes you would need to new condenser fan motor all together. The condenser fan motor works to dissipate the warm air from the outdoor unit. When you notice grease or oil around the fan motor, then that is a problem. A condenser fan motor is a sealed unit so there should not be any oil or grease visible around the fan motor. That is another red flag indicating it needs to be replaced. Typically a condenser fan motor can last eight to ten years depending on proper maintenance and usage. Your HVAC system can take a lot of abuse. As long as you schedule its yearly checkup then it can handle anything that you throw at it. Keeping it running for 24 hours a day may not be a good idea, but it is sometimes a necessity. Keep in mind that doing this will wear out parts faster. Making your home as cold as the arctic in the middle of summer will undoubtedly rack up your electric bill like nobody’s business. Use a programmable thermostat to be able to set temperature control for different times of the day. Your HVAC system cools or heats all the rooms and your entire house regardless if only a few people living in your home. That is a lot of wasted energy and resources as well as an unnecessary burden on your HVAC system. If you are only using a couple of bedrooms in your home, make sure to go into the unused bedroom and close the vents to those rooms. This will save you money on your electric bill and keep your HVAC system from overloading itself. It is vital to have your HVAC system tuned up at least once a year. Change the air filter monthly if needed but no later than every three months. Your loved one’s health is at risk by ignoring to change or clean the air filter. It will also save you money on your electric bill. Keep your home cool but not freezing, this will help to avoid overloading your HVAC system. Close the air vents in the rooms that are not being used. Check your outdoor unit from time to time and keep clean. It will go a long way in preserving its many vital parts. Next article Carpets and Rugs: Which Types Are The Best Option For Your Home?